Christmas is just over a month away, so now is a great time to look at how we can organise events – no matter how big and small, or what occasion. This month for the Simplify My Life challenge we are all about event planning and giving you the tools to organise your next event easily, without the usual stress that comes with such occasions. Personally I like an equal mix of planning and flexibility when it comes to planning most events. Not the big ones of course. My wedding was pretty much organised down to the 15 minute interval… well, not quite but it was thorough. But few other events require that same level of planning. This in mind, if you can maintain some flexibility, you will find your event will come together much easier and will be far less stressful. To organise events and upcoming functions you will be planning and joining, the best step is to first pinpoint approximate dates and time frames. Grab out your calendar and mark those dates. This will help you work out how much time you have up your sleeve. Plan your food – self-catered, finger food, catering, home delivered pizzas etc. Although if we are thinking of the upcoming Christmas period, some of those steps are less relevant and it is more about having loved ones close together and enjoying the time together. If you are planning any big events in the upcoming year, there is no harm in starting your planning early so you can organise events well ahead of time and minimise the last minute rush. 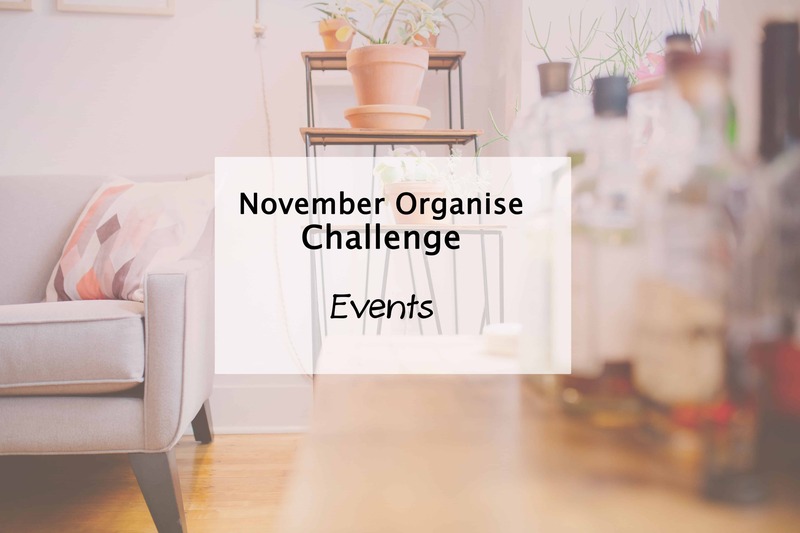 Be sure to also check out the other monthly challenge tasks so far, to have your home decluttered, organised and simplified in no time. Do you have any exciting events coming up soon you need to organise? Any special Christmas plans?